Lauren’s story by her mum, Catherine. 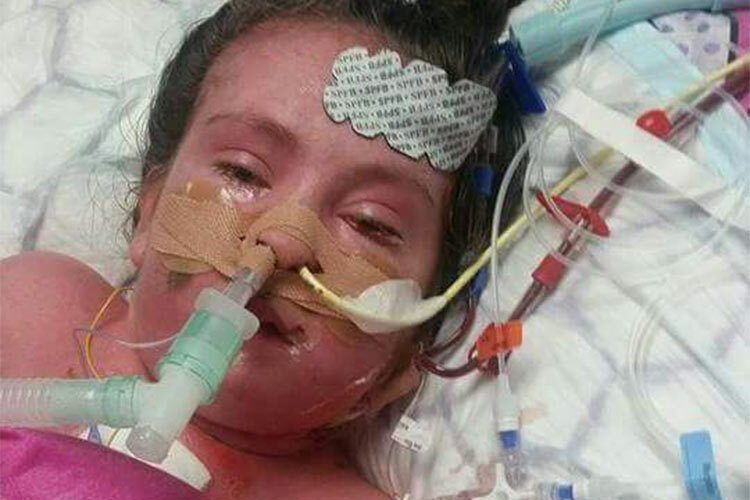 Lauren was diagnosed at the age of three with dilated cardiomyopathy and failure to thrive. As a baby she always seemed floppy and the medical teams carried out various tests and investigations to find out what was wrong. It wasn’t until an x-ray showed an enlargement of Lauren’s heart that was closely monitored with check-ups every six months. 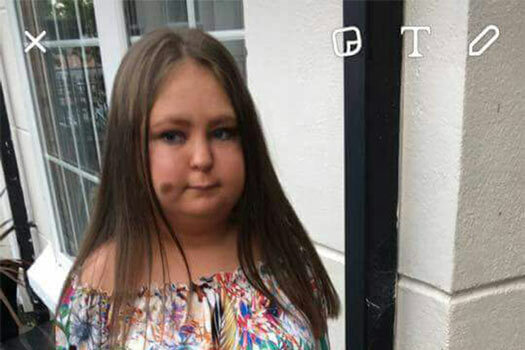 We were also referred to the Transplant Team at the Freemans Hospital in Newcastle Upon Tyne for yearly reviews as we were informed at some stage Lauren would need a heart transplant. When, they couldn’t tell. 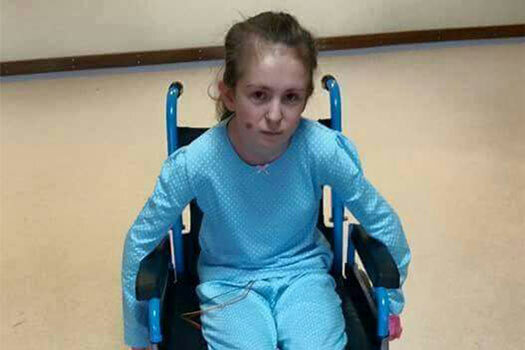 For over ten years Lauren continued to be monitored but it wasn’t until April 2015 that her condition became very poorly and she was admitted in June for constant bed rest. With this we had to travel to the Freemans Hospital for another review and following this Lauren was put on the Heart Transplant list. From this point, it was a waiting game to see when a suitable heart would become available, if at all. In the meantime, Lauren had to remain permanently in Clark Clinic as her heart was deteriorating fast. It was at this time that we were introduced to the Children’s Heartbeat Trust who brought a breath of fresh air into our world. They let us know of the support available to us as a family for Lauren’s journey ahead and they even held a Minion party for Lauren’s birthday on the ward with her friends and family. Time was running out for Lauren and we thought this would be her last birthday. All we could do was hope and pray with the help of our family and friends that her gift of life would come. Twenty weeks later on the 18th October 2015 we got the call we had been waiting on. They had found a suitable match. Our emotions were everywhere. We were elated that finally they had found a heart suitable for Lauren but extremely afraid of the journey that lay ahead for us as a family. From that call the next few hours all happened so quickly. We had to drop everything as the emergency air ambulance was on its way to take us to Newcastle Upon Tyne for Lauren’s heart transplant. Lauren’s heart transplant took place the following day on October 19th and everything went well during the 8-hour surgery. It wasn’t until the next day that things started to go downhill for Lauren. Pressure on her lungs started to build and her new heart started to strain. Day after day things weren’t getting any better despite the great team at the Freemans Hospital who acted fast and always kept a close eye on Lauren’s condition. Every day we lived on hope and prayers that things would start to improve. Eventually after several more procedures and operations Lauren started to respond to treatment but she wasn’t out of the woods yet. Her journey was just beginning and on 23rd December we were finally given the go ahead to go home to Belfast. From here Lauren spent the rest of her recovery in Clark Clinic until she was finally allowed home on 1st February 2016. She is now well on her way to living a happy life. She still requires check-ups with the team in Belfast and Newcastle Upon Tyne to make sure everything is going to plan. I am very proud of what Lauren has had to face in her 15 years of life. As a family we are so thankful to the donor’s family – not only did they lose a loved one but they gave Lauren a second chance in life. We are also forever grateful to the Children’s Heartbeat Trust for their continued support throughout Lauren’s journey. The charity has been a big part of our lives through the past year and still today with our regular check-ups in Belfast and Newcastle Upon Tyne. Children’s Heartbeat Trust has always been by our side, practically, emotionally and financially. We didn’t have to worry about how we were going to pay bills or support our two children we had to leave at home. This meant we could focus all our effort and time on getting Lauren better. Every day there was always a friendly phone call from them offering comfort and support, letting us know that they were always there to talk. We could call them at any time for a chat or if we needed any extra support. The charity also introduced us to other heart families. This helped us a lot as it made us aware that we weren’t alone and that so many other families were going through a similar situation. It allowed us to talk to other families and bounce off each other for support and we have made many friends. Now that Lauren is back on the road to recovery and well enough she has been able to benefit from the charity’s Teen’s Programme, which has given her the opportunity to meet other teens living with Congenital Heart Disease (CHD). By being involved in the teens programme Lauren has been able to come out of her shell and do things without me or her daddy by her side. This is a huge step for Lauren in gaining confidence again in herself and we are so grateful for Children’s Heartbeat Trust and this programme in allowing Lauren to start gaining independence. Looking back over the past 12 years and what Lauren has come through and us as a family, we couldn’t have got through it without the support from Children’s Heartbeat Trust both mentally and financially. We continue to receive support from the charity when travelling back to Newcastle Upon Tyne for monthly transplant reviews and this makes life so much easier to know that they are beside us every step of the way. They have helped us in so many ways and so many other families have benefited from the support services they offer, and so many other families in future years will need their support.